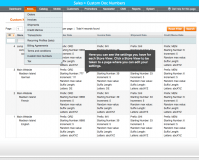 Use custom numbering for Orders, Invoices, Shipments or Credit Memos. Start with any number, use custom prefixes (e.g., current date) or indicate an increment rate. Flexible settings. 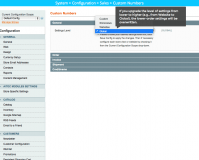 Why Use Custom Order Number Pro? Start numbering Orders where you left off in a new Magento in a new Magento installation. Hide your actual sales volume from competitors and customers. Use a separate numbering system for each Website or Store View. Accuracy and consistency of sales information is one of the main tasks an effective document management practice should address. Leveraging the extension, Magento admins can align document IDs to specific business needs and so keep the sales information in a form they require. This contributes to a way more accurate and effective document handling practice. Magento’s default document numbering algorithm is weak, providing unscrupulous competitors to get a ballpark figure of your sales. Thanks to the module, online retailers can assign custom numbers to orders and so ensure the confidentiality of this sensitive information. The faster a store delivers orders, the higher loyalty and customer satisfaction it gains. Accurate sales documents numbering practice set up in accordance with unique business requirements is one of the cornerstones of an effective and timely order execution. 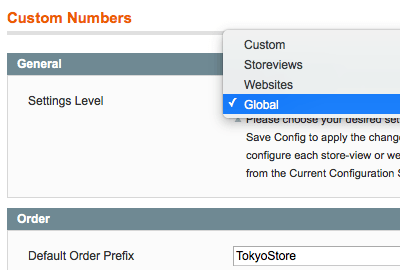 Set parameters on Global, Website or Store View level. Use letters, numbers or current date for prefixes. 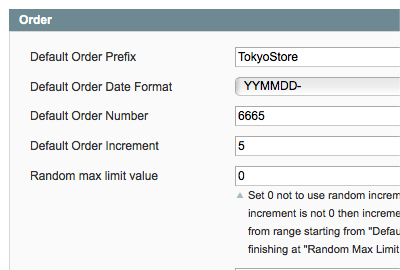 Set a separate increment rate for each doc type (Order, Invoice, Shipment, Credit Memo). Limit the number of symbols in a document number. 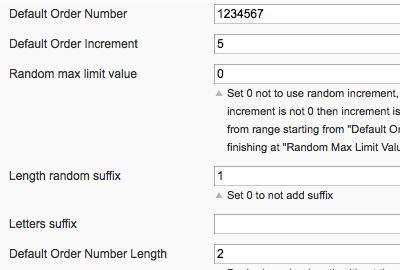 Use a random prefix or a random increment rate. Magento Order Export extension – Import and export order records from/to any third-party platforms in XML and CSV formats. Magento Preorder plugin – Automatically send email alerts to let your byers know the products they are interested in are back in stock. 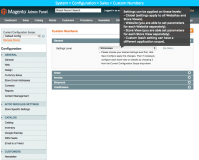 Magento Admin Order Grid extension – Filter order records by product name or SKU and view order-related information right on a single order list page in your Magento admin panel. Magento Product List module- . Send emails alerts to buyers reminding them to re-order, allow them to share their product lists, and set up special discounts for repeat purchases. * Fixed an incompatibility issue with Magento SUPEE-6285 patch. * Fixed the issue with settings not saving for the default config. * Fixed the issue with removing order prefix. * Fixed the issue with orders placed at the same time. * Fixed the issue with setting Default Order Number Length to 0. 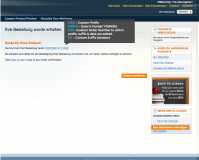 * Fixed 404 error when uploading image for cms blocks\pages. * Fixed bug with incorrect order increment in certain cases. * Fixed bug with default order number. * Fixed bug with error when placing 2 orders at the same time. * Fixed bug with incorrect date in the order. * Fixed error when adding new website. + Added ability to use symbols (i.e. "-") in Default Prefix for Orders, Shipments and Credit Memos. * Recommended update. Issue within impossibility to either place a new order or create any type of corresponding documents (invoice, refund, shipment) after updating the extension from an old version (3.x or 4.x) to the newer v.5.0.x is fixed now. * Fixed error at Manage Products section while trying to either update products' attributes or change products' statuses after the change of the Store View. * Fixed bug with Global increment setting and a few small issues. * Fixed compatibility bug with Delivery Date. * Fixed bug with switching off and on of the Extension and disappearing of last Orders data. We were looking for a solution that will configure and integrate shop invoice numbers with our custom CRM. Custom order number Pro is a great one! Easy to install & setup. Thank you, guys! Great default function of Custom Order Number Pro. Also I have few customizations and quickly get reply and done from the developer. We have purchased this module some time ago. Due to security issues we decided to change some parts in our Magento webshop. This had as a result that the module stopped working because of licence issues. After contact with Aitoc they fixed the issue very fast. Very good customer service. I would recommend this to anyone! After changes we made to our domain the module stopped working because of licence issues. After contact with Aitoc they told us that the licencing methods are changed recently and that customers with the older modules would get the updates free of charge. They have fixed our issue within an hour. Perfect service. I would recommend this plugin to anyone! Great product and great staff, fast and efficient! I have used this extension for one of the new Magento site I just launched and we knew we will not have a lot of orders initially. I wanted to make sure the order numbers will increase with a random increment and also wanted to use prefix in front of the invoice numbers. This extension did just that. Worked straight away without any modification. We run magento installations with multiple stores. This extension allows us to provide more user readable order/invoice/creditmemo numbers for our customers as well as make it easier for the Online shop administrators to quickly see which order belongs to which store. We have been using this plugin for years and will continue to do so. I bought this module because our store is an extension of a previous one, and we had to keep the same invoice number structure. This module is doing exactly what we need. Few month after the purchase, AITOC changed his licence system. First, we couldn't add 2d store on our magento application, but after submitting a ticket and access to our development server to the aitoc support, they have updated our module for free. So, good module, and great support. Except the business model that i wasn't used to (beeing self a dev) great quality extensions and service. The standard Magento-way of numbering the orders, invoices and delivery bills is not sufficient. We needed a different prefix for each of the above and we did not want to start with order number 0001. Custom Order Number Pro allowed us to specify all of this as needed. 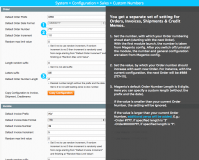 Custom Order Number Pro is always the first extension we install on all our Magento setups. The extension does exactly what the name says and the installation was smooth as butter. 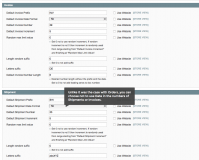 With this extension it's easy to make localized order numbers to anyone's personal preferences. The extension installed and works great on my CE v1.7, but I was more impressed by the outstanding customer support provided to me at every turn, I appreciate the developer commitment and honesty for creating great tools, to help build better web stores. Great support even after 3 month of purchase. i did not expect such great service and support. by seeing this support i plan to buy more extensions form this site. keep it up. Great product and Great service by the developer. we need such service its better than expected. team was helpful and full of knowledge they support me in installations also and response time on email was also very fast. Great extension if you want to use your own custom prefixes!! The settings can be easily managed to simply logging into the admin area. Extension is easy to install and the available documentation is of good quality! 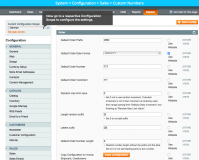 The settings can be easily managed to simply logging into the admin area. Extension is easy to install and the available documentation is of good quality! Installation was a breeze - really good instructions on the zip file you download. Configuration was simple and worked straight away. Looking forward to seeing it start to match up products that are bought in conjunction.